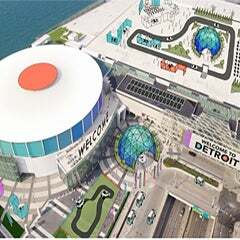 DETROIT April 17, 2014 -- During a meeting of the Detroit Regional Convention Facility Authority (DRCFA) this morning, the board overseeing Cobo Center voted in a new exclusive electric service provider. 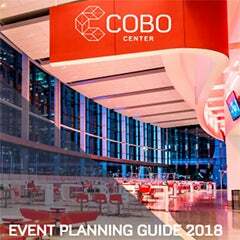 A Request for Proposals (RFP) was issued 11/18/13 for Event Electrical Services at Cobo Center. The response required an understanding of the scope of work and demonstration of experience, fees and pricing structure, no increase in service fees, proposed organizational structure, strategic approach and list of key staff members. A committee was established to evaluate the RFP responses, and the committee established evaluation criteria. Following the completion of rigorous respondent interviews, committee members individually scored and ranked the finalists. Presenting the most favorable financial proposal of the fully compliant finalists, Conti/HiTech demonstrated both significant technical and logistical capability to the committee. The committee was unanimous in their selection of Conti/HiTech as the preferred vendor. Conti/HiTech is a joint venture between Conti Corporation, the largest multi-trade contractor in Michigan offering complete electrical, mechanical, plumbing and fire protection contracting services, and Hi-Tech Electric LLC, one of the first companies to offer electrical services to trade show exhibitors nationwide. Established in Detroit in 1969, Conti is signatory to IBEW Local 58 and performs large commercial and industrial projects throughout the US, Mexico and Canada. Hi-Tech has been serving the many of the largest convention centers in the US since 1999, including the San Diego Convention Center, and the Moscone San Francisco Convention Center. It has provided electrical service to large industry shows such as the Washington Auto Show, US Postal Expo, American Society for Cell Biology, International Dairy – Deli Association and Presidential Inaugural Balls, 2004 and 2009. At the April 17, 2014 DRCFA meeting, SMG recommended and the DRCFA unanimously approved the selection of Conti/HiTech. 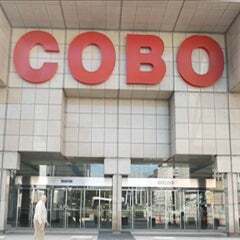 With this company’s long history in the event industry and their proven record for excellent customer service, we are confident that the transition of this company into the Cobo Center experience will be seamless. Online event service ordering will continue and the change in vendor will not cause an increase in service fees. We are happy to welcome Conti/HiTech to the Cobo Center.